Office Space - Paulton, Somerset. 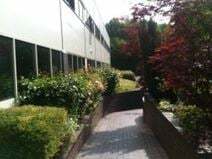 A selection of offices and meeting rooms is available to let in a wonderful contryside, well connected to Bath and Bristol. Fully furnished and technologically equipped, these office spaces benefit from a professional reception and administration support staff to assist your business in your daily activities. These office spaces are available at a very convenient price.